Insomniac Games' free-running adventure will tie in with new PS3 release. For years now, the duo of Ratchet and Clank have battled chaos throughout the galaxy, using a variety of unique weapons to put enemies in their place. It's not often you can launch a disco ball and make renegade robots dance to their demise, right? Now the duo will strike out on a new front - mobile. 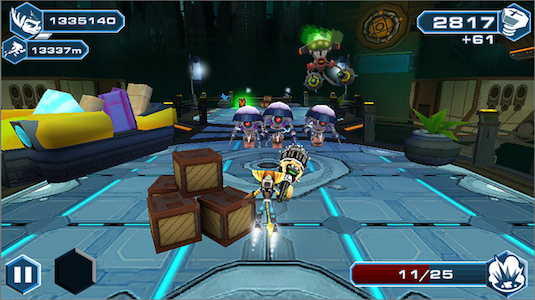 On the PlayStation Blog, the developers at Insomniac Games revealed Ratchet and Clank: Before the Nexus, a new endless runner game heading to mobile devices soon. 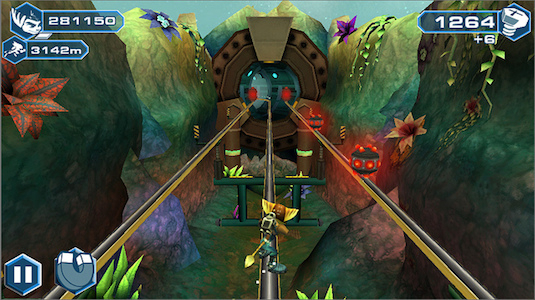 In the game, players control Ratchet with his buddy Clank in tow, as they run through vibrant 3D world, grinding on rails and collecting Bolts currency to upgrade for new weapons and armor. As expected, you'll blast a few enemies along the way to keep your run going. 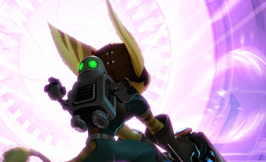 The game will connect with the upcoming PlayStation 3 release Ratchet and Clank: Into the Nexus, allowing players to use whatever Raritarium they collect in the game to spend in the console release. There's no word yet on what platforms Before the Nexus will arrive on, but iOS is likely since it'll get a PlayStation app soon. There's also no release date, though Into the Nexus will arrive on PS3 November 12th. Let's just hope Captain Quark doesn't screw things up this time around. "Outta my way, Quark!"